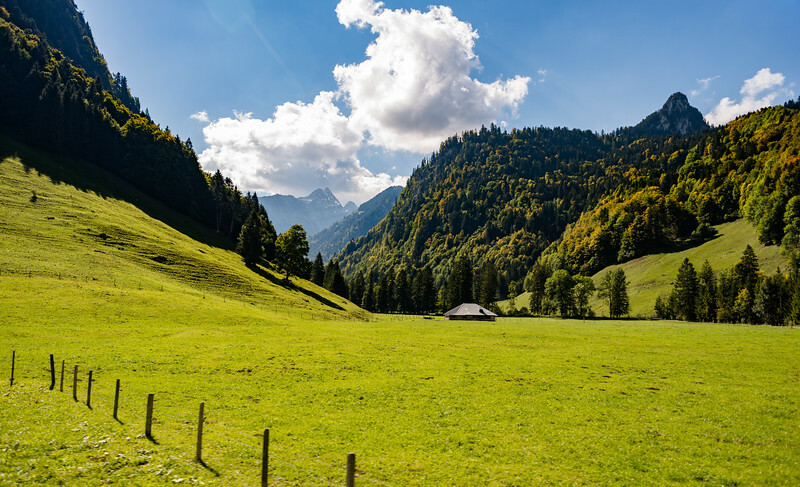 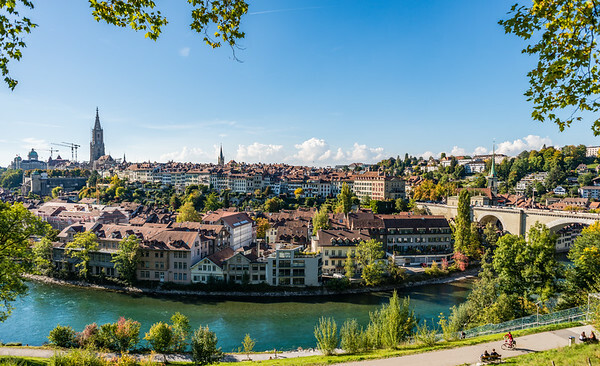 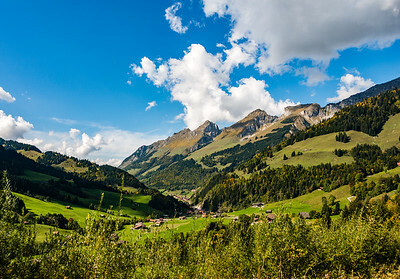 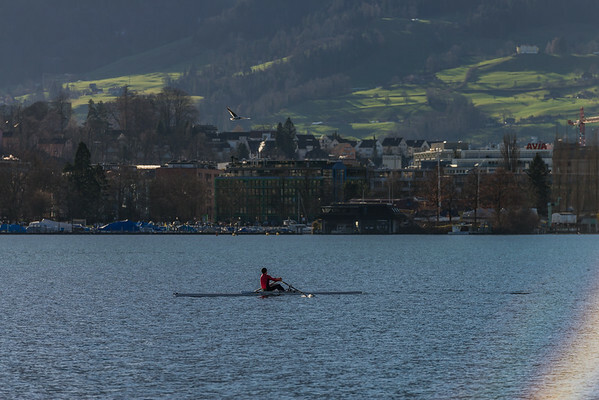 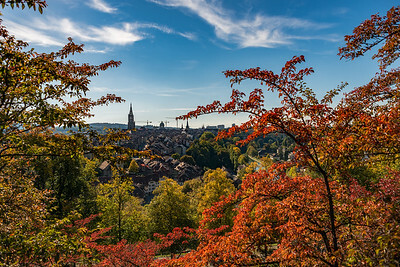 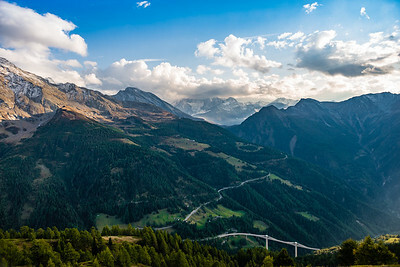 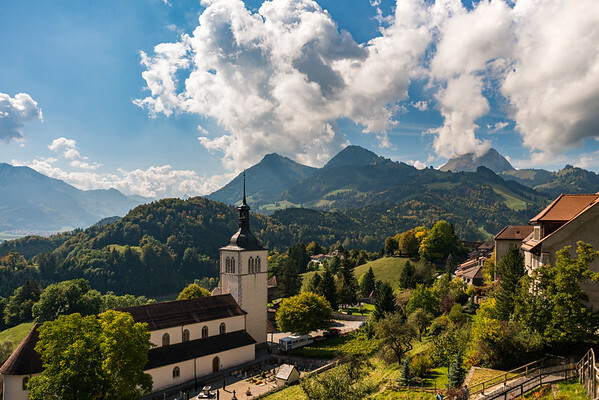 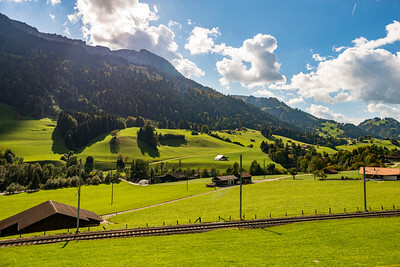 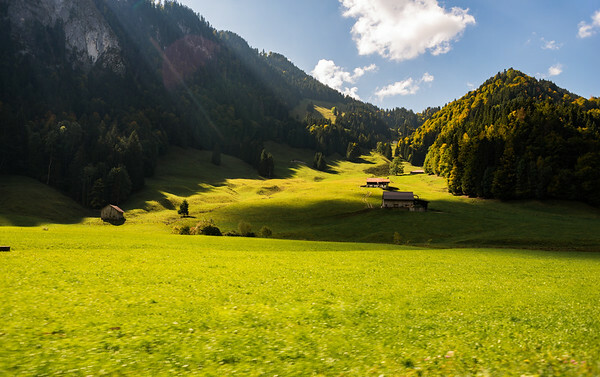 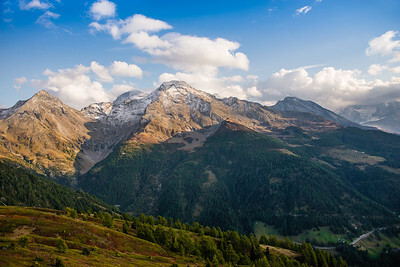 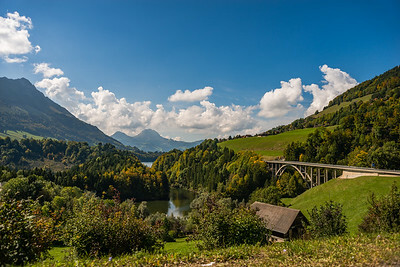 Photos from the cities and natural areas of Switzerland. 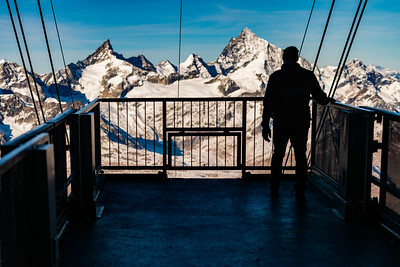 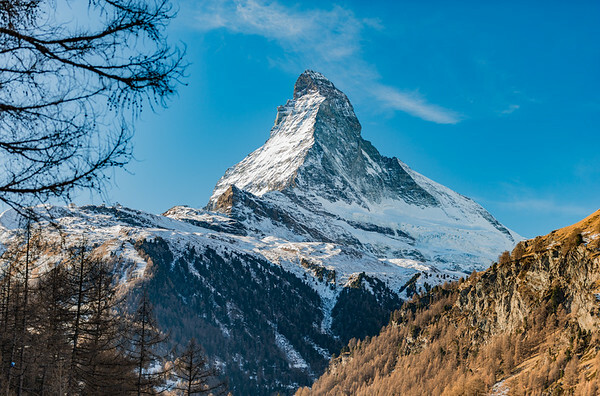 The Matterhorn stands proudly over the small mountain resort of Zermatt, Switzerland. 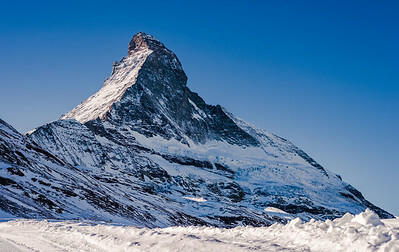 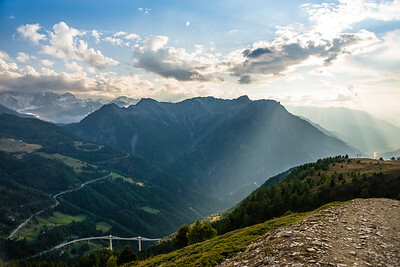 The mountain sits atop a saddle between Switzerland and Italy with ski resorts connecting both countries. 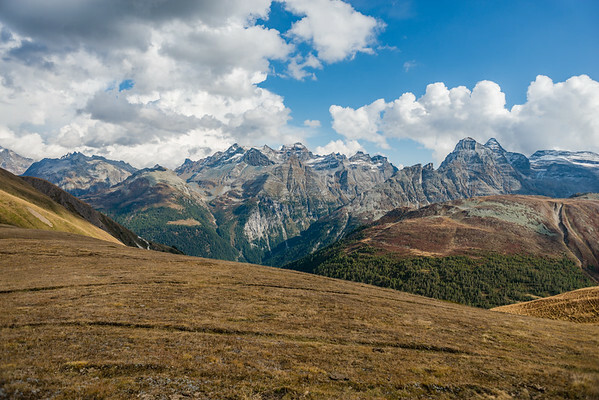 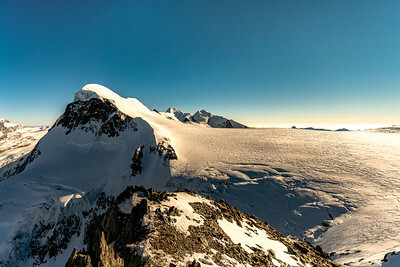 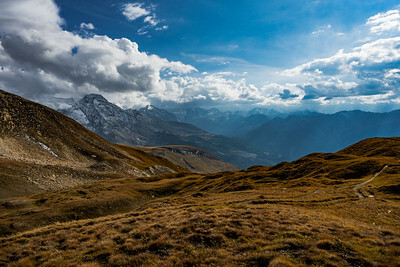 Atop the Swiss Alps between Switzerland and Italy is a large glacier plateau where skiers, snowboarders, and hikers traverse between the two countries. 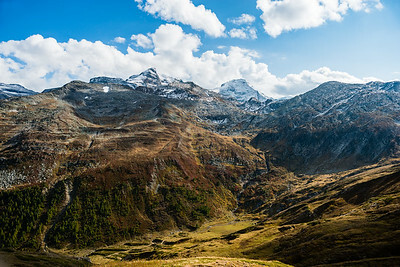 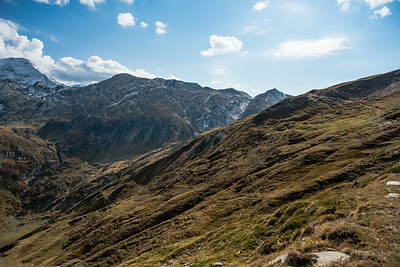 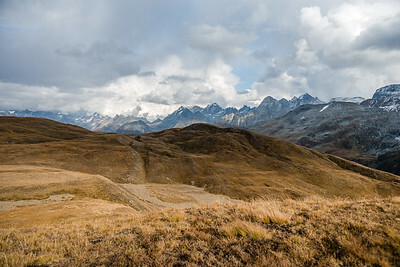 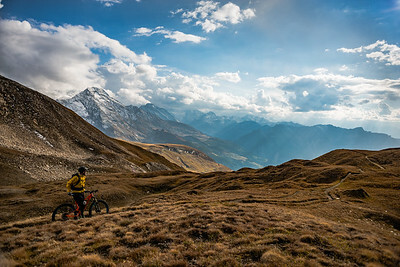 Dropping into the valley from the high alpine offers views of numerous Swiss peaks as well as Italian peaks in the background.